Loving Vincent is the first movie composed entirely of paintings, and it is stunning. Over 100 artists are fluent in Vincent van Gogh’s painting style painted each frame of the movie, so the entire time you’re watching, you feel like you’re inside of one of the famous artist’s paintings. Loving Vincent follows Armand Roulin (van Gogh’s friend Joseph Roulin’s son and a subject of some of his paintings) on his journey to deliver one of van Gogh’s letters about a year after his death. Roulin embarks on what should have been a simple task but ends up picking up an even more challenging quest: solving the mystery surrounding van Gogh’s suicide. Although the film takes place after van Gogh’s death, the artist is present throughout the movie in flashbacks. We learn a lot about van Gogh’s life through glimpses of it and stories from those who knew him. Other famous post-impressionists that van Gogh knew, like Paul Gaugin and Camille Pissarro, make appearances in the movie along with his friends and family. Some of van Gogh’s most famous paintings also make cameos throughout the film. All of the settings and characters in Loving Vincent are based on van Gogh’s paintings. Some well-known actors, including Chris O’Dowd and Saoirse Ronan, portray the adaptions of van Gogh’s creations. Van Gogh fans will be in absolute heaven while watching this movie, and even those unfamiliar with the artist will be captivated by the plot and be able to appreciate the visuals. Watching a movie where each frame is a unique painting is a beautiful and strange experience. You never really get used to the animation style, but it doesn’t distract from what’s happening on screen. 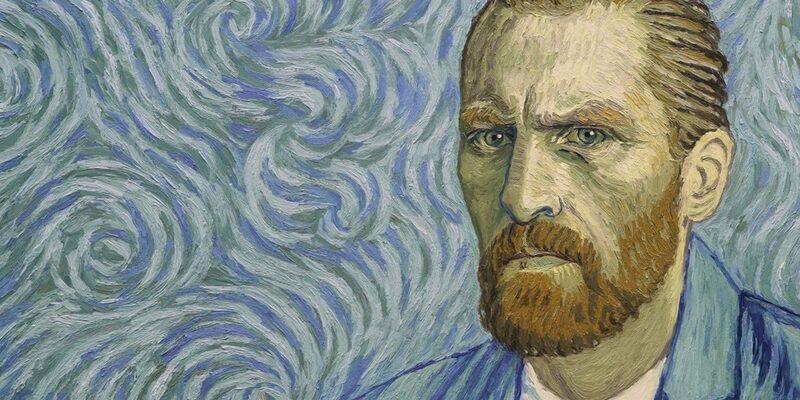 Watching Loving Vincent is an experience unlike any other. It is by far the most visually striking movie ever made, and you’ll be in awe the entire time you watch. Everyone needs to see Loving Vincent as soon as they possibly can. The movie is available at indie theaters, including Cinemapolis in Downtown Ithaca.